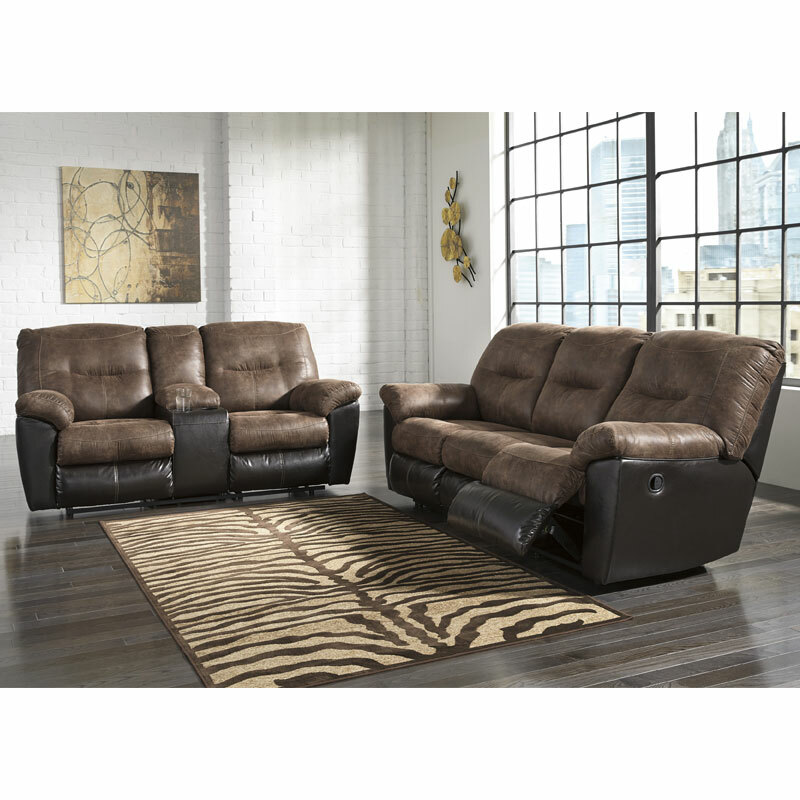 A classic split personality, the Follett overstuffed reclining sofa & loveseat is a real softie on the inside, but all business on the outside. Rest assured, the soft suede-like material is a perfect complement to the faux leather exterior giving it just the right amount of interest and character. A perfectly paired piece, comfortably priced.